When anyone thinks of New York State, their mind is almost inevitably drawn to the world-famous city of New York itself. NYC is undoubtedly the biggest draw of New York State, attracting millions of visitors each and every year, as well as appearing in countless films and TV shows as the globe’s most well-known and recognizable metropolis. 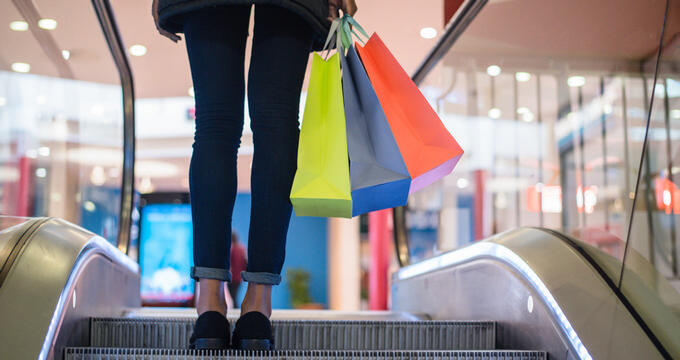 Many people head to the Big Apple to do some shopping, but the rest of New York State has a lot of great shopping locations too, including some top quality outlet malls. Outlet malls are highly popular all around the United States due to the fact that they tend to offer the lowest prices of all. These factory stores function by providing a direct link between manufacturers and customers, cutting out the retailers and middle-men, resulting in better deals for the people and allowing them to buy more of the goods they love for fractions of the usual prices. Many outlet malls can be found all around the country, each often offering dozens of even hundreds of individual stores focused on major United States and international brands in the worlds of fashion, footwear, jewelry, decoration, furniture, tech, and more. These outlet malls also often feature daily deals and membership programs for loyal customers, offering even more special offers to help you save additional cash. New York State houses plenty of great outlet malls and shopping locations. Some super outlet malls can be found in and around New York City itself, with other great locations also dotted around other areas of the Empire State as well. Here are some details and overviews of the best outlet malls in New York State. One of the largest malls in the entire United States, Destiny United StatesA isn't wholly dedicated to outlet stores, but does still feature plenty of them, making it a superb outlet shopping location. Sitting on the shore Onondaga Lake in the Syracuse region of New York State, this six-story shopping complex is the Empire State's biggest mall and features plenty of huge brands and names like Armani, Saks Fifth Avenue, Michael Kors, L'Occitane, Lindt, Fossil, Coach, Old Navy, Puma, and many more. The Outlets at Lake George can be found a little drive north of Albany among the Adirondack Mountains and is one of New York State's prettiest and most enjoyable outlet store locations to simply walk around. Featuring a wide array of designer names and other huge brands like Polo Ralph Lauren, Adidas, New Balance, Levi's, Van Heusen, and many more, The Outlets at Lake George provide immense discounts of up to 65% when compared against regular retail prices for hundreds of different products. With free parking and a lot great amenities both on site and in the surrounding area, The Outlets at Lake George is one of the locations to do some shopping and save some money in New York State. Woodbury Common Premium Outlets is one of the nicest places in all of New York State to do some outlet shopping. Nicely laid out with welcoming promenades and old-style street lamps, this outlet mall feels more like a little town than a shopping complex. Opened back in 1985, this is also one of the oldest outlet malls in New York State and now boasts a huge tally of 250 stores in total. Some of the featured brands at this location include Burberry, Nike, Saks Fifth Avenue, Polo Ralph Lauren, Coach, North Face, and many, many more, as well as free Wi-Fi and plenty of restaurants. Part of the nationally known and beloved Tanger Outlets range of outlet malls and stores, Tanger Outlets Riverhead is located on Long Island, making it one of the best outlet shopping locations for residents and tourists in New York City and the surrounding area. NYC is known for having a lot of major shopping streets and big department stores, but Tanger Outlets Riverhead offers some of the lowest prices and biggest discounts in the Big Apple, so it’s a super option for people who want to keep their expenses low and head home with bags filled with bargains.